Considering the bad news in our 24-hour cycle, it's easy to think that we aren't far away from losing our society as we know it. Film makers have picked up on this trend, and we're seeing a lot of films depicting an ugly future. Big-budget movies like Oblivion and The Hunger Games: Catching Fire show a much-different Earth coming our way. This material is rife for great drama if done well, and that makes it the perfect choice for my latest marathon. My first movie also came out in 2013 with great expectations. 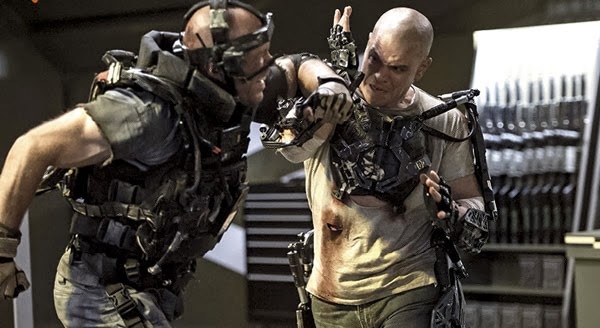 Elysium is Neil Blomkamp's follow-up to his 2009 debut District 9, which earned raves from critics and audiences. While I admire its concept of aliens living in an Apartheid-like setting, it lost steam for me because of its final act of generic shootouts. Would his second film avoid that trap? It comes with a scorcher of a concept that offers plenty of intriguing opportunities. In 2154, the divide between the rich and poor has become much wider. 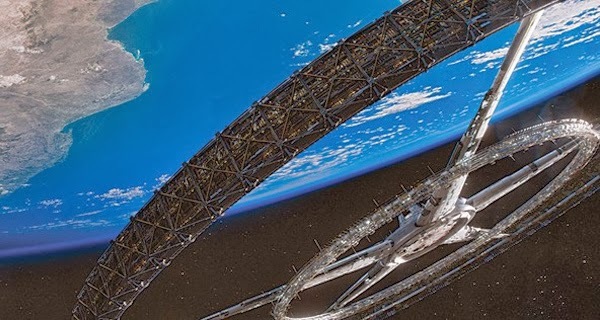 The wealthy live in luxury on a giant space station called Elysium floating above the Earth while the others struggle to survive on the surface. After suffering massive radiation exposure in a work accident, Max (Matt Damon) will do anything to reach Elysium to save his life. In the most basic sense, the idea that the rich would move to a giant space station above a devastated Earth isn’t outlandish. People are already moving further away from urban areas to gated communities. This is an extreme take on that shift, but it also never goes deeper. We don’t really understand how the society functions beyond the general split. Why couldn’t the entire populace move into space? How are people even surviving on Earth? The robots play a key role in suppressing the masses and take a very severe approach to law enforcement. They’re the most interesting part of the scenario, but they’re mostly eye candy for the action sequences. The figures in power are using pods to stay young and avoid disease. What impact does that have on the way they look at the rest of us? That’s another intriguing topic that’s barely mentioned under this limited perspective. Blomkamp develops an interesting premise about a possible future to our current path. If the uncaring CEOs of giant corporations had the chance to escape to a heavenly utopia, they’d certainly take it. Jodie Foster’s Delacourt embodies this type of power-hungry figure who even wants to dominate this new world. On the other side of the fence is Max (Matt Damon), who can’t seem to catch any breaks. His boss cares little about his impending death and treats him like a non-entity. Blomkamp’s themes could lead to an intelligent story, but he wastes them in a script that lacks wit or brains. He’s more interested in cool guns, evil brutes, and spilling blood. It’s so disappointing to watch him waste a potentially strong opportunity. The basic elements or in place, but the execution is a huge misfire. Damon does his best to make us care about Max, but it’s futile. The prologue establishes his relationship as a child with Frey (Alice Braga), but they have little chemistry. Her focus is on saving her sick daughter, and they can’t overtake that tired plot device. Appearing in a different movie is a nearly unrecognizable Sharlto Copley as Kruger. That cartoonish villain just wants to incite mayhem and reminds me of the goons that hindered District 9. Copley has a blast playing the over-the-top guy, and he injects some much-needed energy. The problem is that he’s living in another movie. He does a lot better than Foster, who employs a ridiculous accent that can’t be taken seriously. Her awful dialogue is on par with a B movie serial, and her odd vocal style just adds to the silliness. It’s Foster’s only performance in the past two years and a strange choice to jump back into the game. 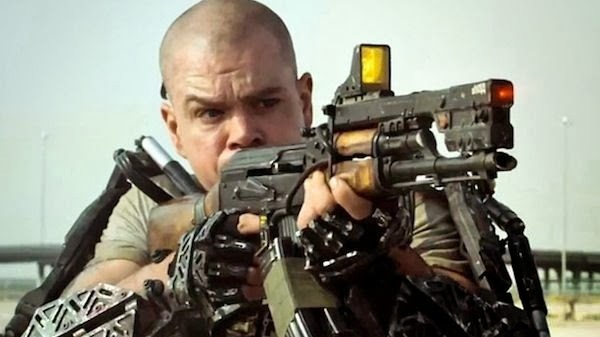 Elysium is such a clunker and only gets worse during its final act. The visual style is impressive, and it’s clear that Blomkamp has talent. 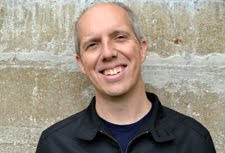 He may want to step away from writing his own screenplays, however. I love sci-fi, but this is such a by-the-numbers action movie that it loses any relevance. It’s the type of movie that would star Dolph Lundgren and Steve Austin if it had a lower budget. The talented cast and Oscar nominations for District 9 created a smokescreen that set high expectations. Those fall away quickly, and the resolution creates a lot of questions. Can everyone on Earth really fit on the space station? It’s a one-note end that matches the lack of gravity in the entire picture. If any film needed script doctor treatment from Shane Black, it’s this one. Nest week, I’ll deliver justice with Karl Urban in the new version of Dredd. I agree that Elysium was a big disappointment. Of course, I wasn't THAT enamored of District 9 either. I thought it was a decent film, but it was really 1/3 Alien Nation, 1/3 The Fly remake, and 1/3 Rambo - all 80s films I was very familiar with. I agree about District 9. It was a good movie, yet it ended up being more conventional than I expected. It seems that many tend to just remember the first 1/3 or so, which is the best part for me. I can see that making a difference. Did you see it in the theater? I'm guessing that helped too, though it might not have been enough for me.